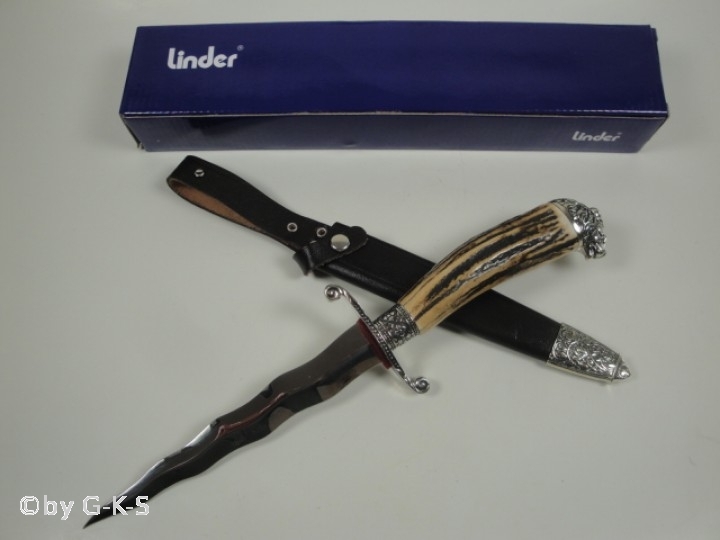 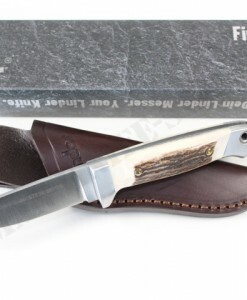 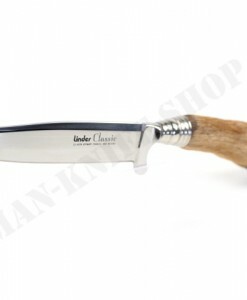 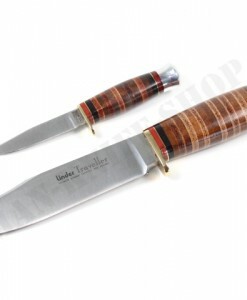 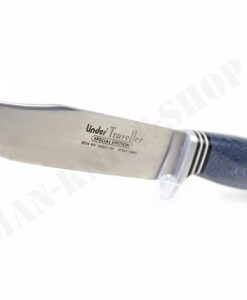 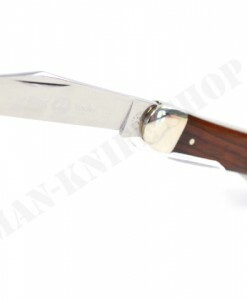 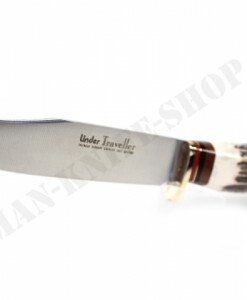 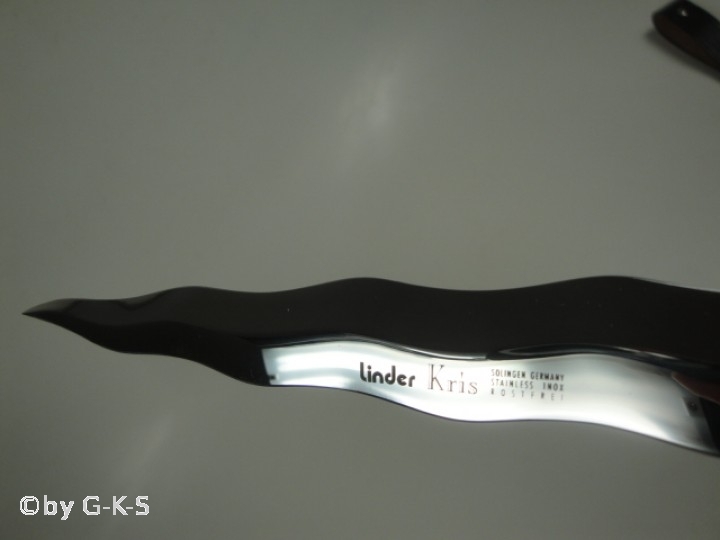 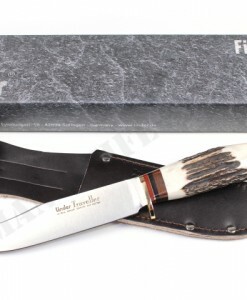 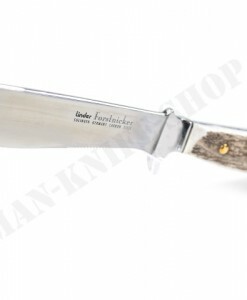 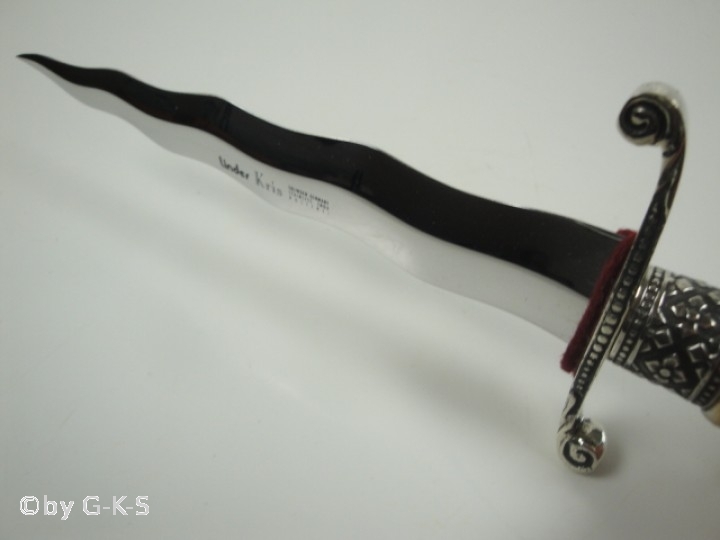 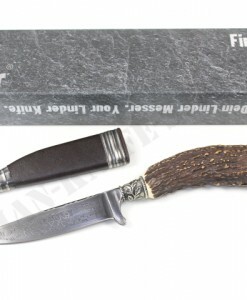 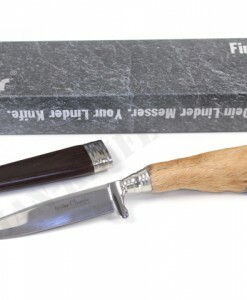 Dear customers, here we offer a superb German Linder Kris dagger in highest quality made by Carl LINDER in Germany ! 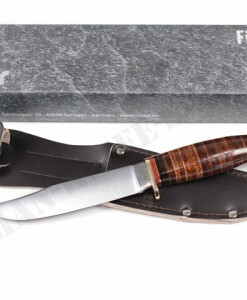 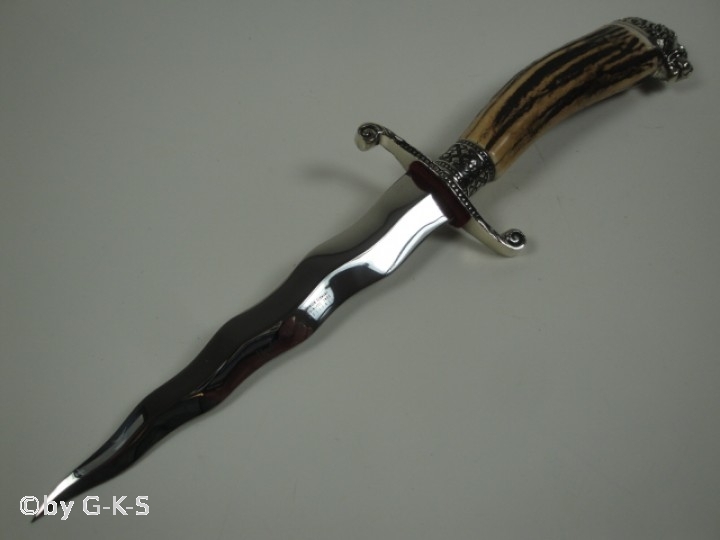 This is an awesome dagger with drop forged 420 steel stainless blade. 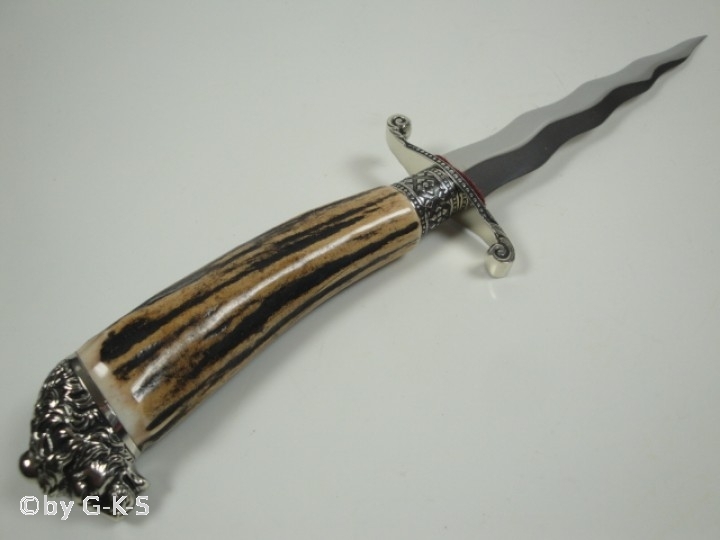 All metal parts of handle and sheath made of nickel silver. 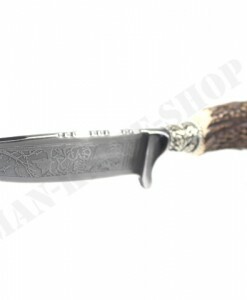 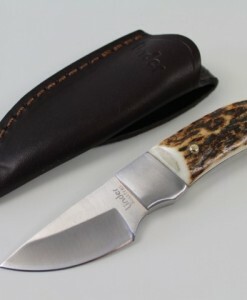 Real stag crown handle and historical leather sheath. 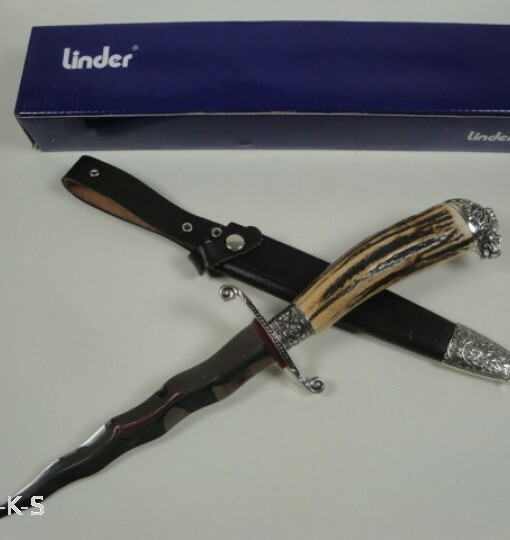 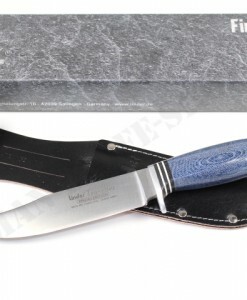 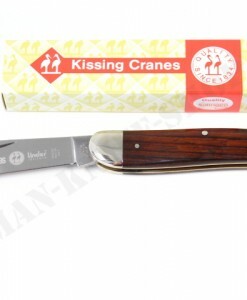 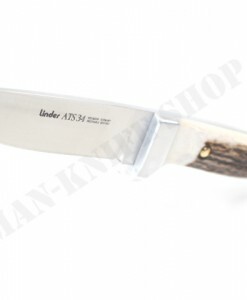 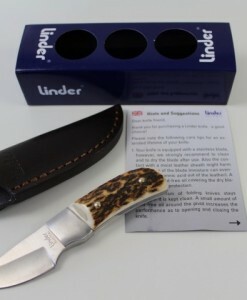 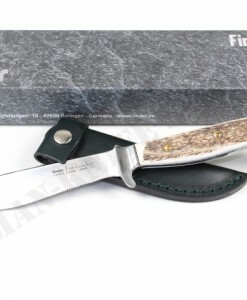 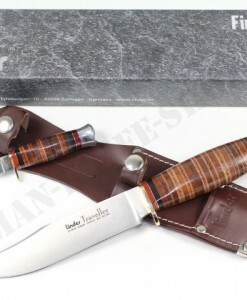 HANDMADE IN GERMANY BY LINDER IN SOLINGEN. 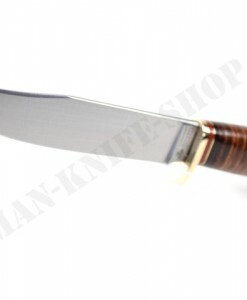 Blade made from high grade 420 stainless steel.